I am a three-dimensional person, by nature, a maker of things most of my life. I enjoy designing anything, especially functional items around and among which people’s lives occur. For me, this has for many years been pottery, an art form that deeply moved me when I lived in Japan in the 60’s and 70’s. In fact, my debt to the Japanese sensibility in so many ways is immeasurable. If you think you see some connection to Japanese aesthetics in my work, then there is a reason. I do not attempt to emulate Japanese design, but I try to reflect their philosophy in considering what makes a design good. I enjoy the puzzle of making things. What began in the brain must eventually reveal itself through the hands to be shared with others. This, I think, is the nature of art: Art is what humans do; it is the essence of our natures. Some art is good; some is not, yet it remains art. As an artist, I strive to create the best. As collectors, we must also search out the best we can afford. I consider myself a craftsman also, someone with skill in making things. It does not necessarily follow that an artist is a craftsman, and vice versa. To be good at both, however, is important, especially for the artist-designer like myself who is ultimately responsible for the final product that began as some faint neural process deep in the brain. Well, that probably is enough. Art must finally be judged outside the context of anyone’s statements. Success in art is not conditional on words or explanations. You alone will judge. I was educated in England and at Columbia University. I attended graduate school at the City University of Fine Art in Kyoto, Japan (Kyoto Geijitsu Daigaku). 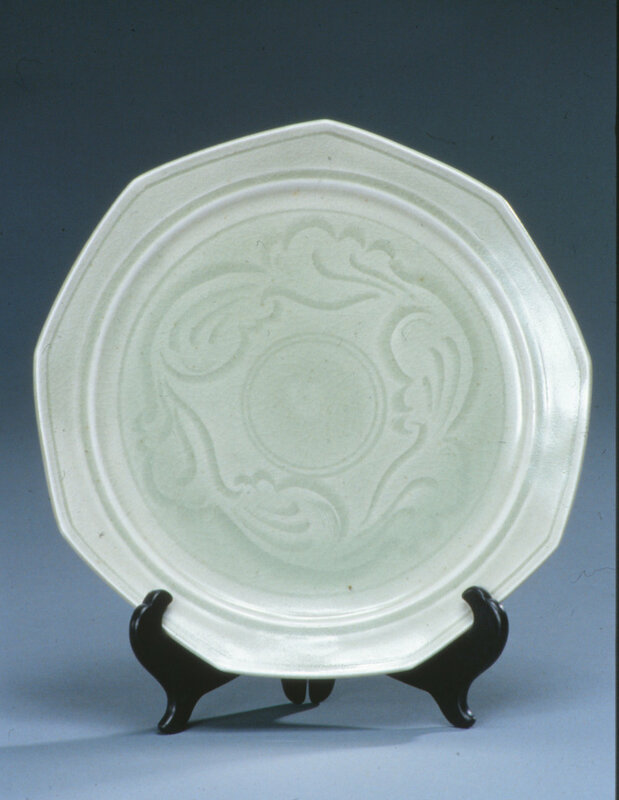 I have been a consultant for the National Endowment for the Arts, a member of the League of New Hampshire Craftsmen since 1971 and have won numerous awards for work in ceramics and lighting, among which was a dinner service for use in the White House. Derek Marshall Lighting LLC caters to discriminating buyers worldwide looking for the finest designs in lighting. With an influence definitely Asian but an execution all my own, my work crosses geographic boundaries and times. The endurance of good art is at the heart of my work, I like to think. My inspirations are many and not the least of these are the gardens that surround my house and a large collection of orchids and other unusual flora i have maintained for many years. Form, Function, Color and Texture...these elements are vital to any interior. The lighting you choose must excel in all these categories. We invite you to see why Derek Marshall's designs for wall sconces, table lamps and pendant lighting have won national awards year after year for residential, commercial, office, restaurant and home theater applications. Please call with any questions you may have. Our phone at 800-497-3891 is answered during extended business hours Eastern Time. Our customer service has been rated as the best by our customers, so please don't hesitate to try us. It’s a tricky thing to live and work in the same place, and it can also be problematic for a couple to work together. If the work is highly specialized and creative, it can be a prescription for many artistic differences. But it works well for Derek and Linda Marshall, both artists, and it has been a formula for success over the years. From their studio and home in Sandwich, NH, the couple have been creating beautiful items for customers since the 1970s. Making pottery for many years, and now handcrafted lighting, Derek and Linda are a creative team the likes of which we do not see too often. Derek Marshall Lighting produces all sorts of lighting, from sconcesto pendants and chandeliers; all the work is custom, and in a word, gorgeous. Each piece is created, from start to finish, in their Sandwich studio. “I was born in England and came to the United States when I was 10,” Derek says. “At age 18 I went to Columbia University and in 1965, I was commissioned in the US Navy, married, Linda Whitworth and sent to Vietnam.” After this, he attended graduate school at the City University of Fine Art in Kyoto, Japan. Back in the United States, the couple were visiting with Linda’s family, who owned the Towle Hill House (gift shop) in Meredith, NH. This was a time when fine arts and crafts were coming into their own and the popularity of handmade items was on the rise. The Marshalls were in the right place at the right time. Although they were dreaming of settling permanently in Maine, someone told them they should consider purchasing property in Sandwich, NH. It was a town where many artisans and craftspeople were living and working, and it might be just right for the Marshalls as well. Following that advice, Derek and Linda bought an old farm in Sandwich and set up their studio in a barn on the property in 1971. “We’ve been here ever since,” says Derek with a smile. In their early days in Sandwich, the Marshalls sold their pottery through the League of New Hampshire Craftsmen. It was a great way to garner sales and orders and Derek speaks fondly of the statewide League. The couple speak of the changes their art has gone through over the decades and it makes a lot of sense that their ability to grow and change as creative people led to an eventual switch from making pottery to lighting. “It wasn’t really a switch from one to the other, but rather a slow process,” Derek remarks. There are surely some customers who remember the beautiful pottery created by Derek and hand painted with graceful designs by Linda. The work stands the test of time, but these days lighting is their focus; it sometimes combines clay with lighting to create very unusual and eye-catching lights. Mostly, the lighting is made of beautiful colored glass that Derek crafts into chandeliers, wall sconces and other pieces. To show the range of their work, Derek points to a group of ceramic wall sconces with a bronzing powder finish he is currently making for Virgin Airlines owner Richard Branson. “Glass and ceramics are related; both are transformed by heat,” Derek explains. One of the things Derek loves about working with glass is the reflection of the colors. He holds up a small sheet of glass that is a blend of blues and greens and lets the light flow through the colors. One can easily see his delight in working with such beauty. Once the customer decides upon a color scheme and design, Derek goes to work to create the piece. He demonstrates how a template pattern is placed on the sheet of glass. He carefully (very carefully) cuts out each section of the design and then begins the step-by-step process of firing and bending the glass to create the curves for the lights. Holes must be lined up exactly for screws to fit, holding the pieces in place. There is no set amount of time to complete a piece or an order, because it is a creative process that is affected by designs, size and intricacy. Buyers come to Derek Marshall Lighting from all over the world. These are people looking for fine design in lighting. They may be building and decorating a home or other space where not just any lighting will do. One of the inspirations for the lighting designs are the gardens that surround the Marshall’s home and studio, including a large collection of orchids and unusual flora Derek has maintained for years. According to information at www.derekmarshall.com, form, function, color and texture are important elements to any home’s interior. The chosen lighting should excel in all these categories. The philosophy holds true for residential, commercial, office, restaurant and home theater lighting applications. “If you think you see some connections to Japanese aesthetics in my work, there is a reason. I don’t attempt to emulate Japanese design, but I try to reflect their philosophy in considering what makes a design good,” says Derek. Derek stresses that they do not do installations; they are UL label certified, but installing the lighting is left to certified electricians. Attesting to this is the finest glass - American art glass - supported by stainless-steel, brass and aluminum formed by Derek to give strength and endurance to the light itself. The studio can produce custom finishes and glass. Some customers want additional customization and that is where Linda’s skill as a painter comes in. Derek mentions work she has done for specific tastes, including painting with botanical themes. As the couple chat together, Derek mentions that he is working on a job for a Lakes Region customer who wants to restore old lights in a barn. As he explains some of the things he is figuring out, Linda asks questions and is clearly interested in the process. This habit of working together, bouncing ideas off one another and always seeking solutions to creative problems is at the heart of the Marshalls successful working relationship. Linda laughs as she explains that some people are surprised a husband and wife - both artists - can work together without clashing. Derek says it may be because they work on different portions of the creative work, but that is only part of the answer. As well as the large order for Richard Branson, Derek is working on restoring old lighting in the barn, and recently restored some art glass lighting at Castle in the Clouds in Moultonborough. For metal work, Derek confers with artisans such as David Little, a blacksmith in Meredith, NH. Also, they enter lighting competitions and are always working on new designs. And new to them is a glass company that also sold to the famed glass artist, Louis Comfort Tiffany. The glass is difficult to get, but Derek is making lights with this glass for a Tiffany color/style collection. Creating the beautiful and graceful lights takes talent and patience. It might seem a tricky thing to run the business and to do the creative work, as well as live and work together. But for Derek and Linda Marshall, it has been a way of life their entire marriage. When a customer visits the studio, watches the couple work together and confer on creative work, it is quickly apparent the Marshalls wouldn’t have it any other way.